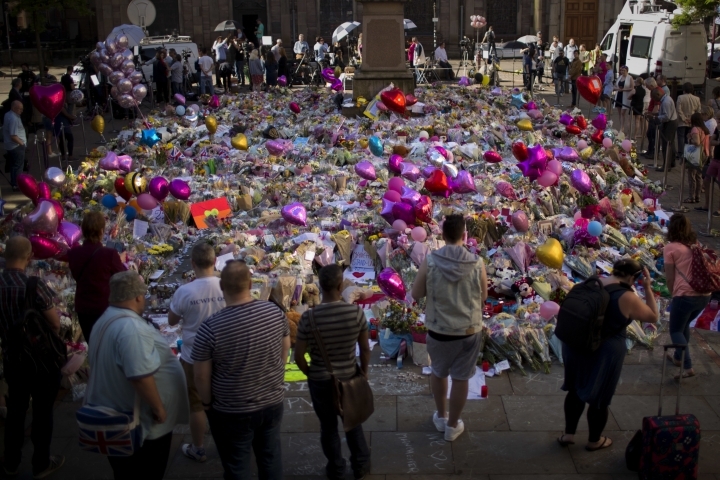 LONDON — A major British parliamentary report found Thursday that shortcomings by security services led to missed opportunities to possibly prevent last year's lethal extremist attack at Manchester Arena. The Intelligence and Security Committee, which investigated five terror attacks that took place in 2017, said there were problems with the handling of the case of 22-year-old suicide bomber Salman Abedi, who killed 22 people attending an Ariana Grande concert in May 2017. Chairman Dominic Grieve said there were failures in the way Abedi's case was managed after he first came to the attention of the MI5 domestic security services in 2010 and was briefly investigated in 2014. "What we can say is that there were a number of failures in the handling of Salman Abedi's case and while it is impossible to say whether these would have prevented the devastating attack, we have concluded that, as a result of the failings, potential opportunities to prevent it were missed," he said. The committee criticized MI5 and the Metropolitan Police Counter-Terrorism unit for failing to follow up after Abedi visited a contact with extremist links in prison. It also said MI5 decided not to monitor Abedi's travel or place travel restrictions on him despite their concerns about his possible extremism. The committee said this allowed him to "return undetected" from Libya to Britain days before his attack. The report states that MI5 admits this was a mistake in light of its information about Abedi. The parliamentary committee said MI5 "moved too slowly" in its plans to review Abedi as a possible threat. His attack on the pop concert was one of a series of deadly extremist attacks that plagued Britain last year. Home Secretary Sajid Javid said counter-terrorism strategy has been improved since the attacks, with increased information-sharing with local authorities and new legislation allowing threats to be disrupted more quickly. Who doesn’t love gossip? E-Rumor Mill grinds the news and gossip to keep reader's well-entertained. Copyright © 2015 - 2019 E-rumor Mill. All Rights Reserved.